Amil’s Inn guest, Paula, enjoying Wetherby Cranberry Marsh to snip some cranberry vines for room decorations. 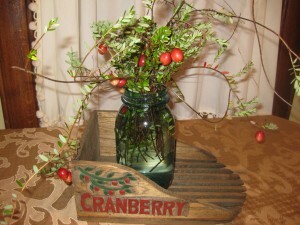 Warrens to gather cranberry vines for guest rooms decorations. 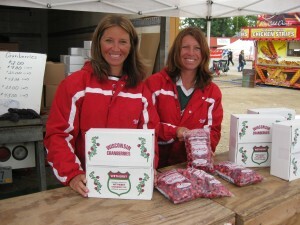 Special cranberry treats are always available to our guests during the Warrens Cranberry Festival weekend. The most requested treat was the Cranberry Bars which came to us from the Warrens Area Cranberry Growers. Every couple requested a copy of the recipe to take home. We thought we would share it with you. Mix eggs, sugar and margarine. Add the remaining ingredients and mix well. The batter will be stiff. Spread in a 9 X 13-inch pan which has been oiled and floured. Bake at 350 degrees for 40 to 45 minutes. Let cool. Mix ingredients together until smooth and spread over cooled bars. The above recipe provided by Warrens Area Cranberry Growers Breanna Zieher, Carol Laux, Lorraine Strozewski, Alice Buan and Linda Lambert. Cranberry vines supplied by Wetherby Cranberry Company for table and room decorations. Amil’s Inn Bed and Breakfast has been blessed over the years with many friendships. Many of these friendships began around Wisconsin’s state fruit the cranberry. As the 41st Warrens Cranberry Festival becomes past history, we are reminded of one of those special friendships with Nodji and Jim Van Wychen of the Wetherby Cranberry Company of Warrens, Wisconsin. They not only supply the fresh cranberries that Anita uses in her scones, muffins and many other special treats that are made fresh from scratch for our guests but they also supply some extra special cranberry touches such as vines that are used for table and room decorations. We are so grateful for their friendship. For those who would like to learn more about cranberries, the cranberry industry and be able to purchase some fresh cranberries, the Wetherby Cranberry Company of Warrens, Wisconsin host a Public Harvest Day the first Saturday in October each year from 9:00-11:00 AM. This year the date is Saturday, October 5, 2013. The Public Harvest Day is free to all who attend and no reservations are needed. For more information and directions to the marsh or to order fresh cranberries if you are unable to attend the Public Harvest day visit www.freshcranberries.com. Also it is never too early to start planning for the 42nd Annual Warrens Cranberry Festival which is scheduled for September 26- 28, 2014. Visit www.cranfest.com for more information. There are two events that take place every year which help us get ready for Thanksgiving and Christmas: the Warren Cranberry Festival and the Wetherby Public Harvest Day. The 39th Warrens Cranberry Festival just ended which means the Wetherby Public Harvest Day is fast approaching! For those of you who would like to learn more about cranberries, the cranberry industry and be able to purchase some fresh cranberries, the Wetherby Cranberry Company of Warrens, Wisconsin has a Public Harvest Day the first Saturday in October each year from 9:00 am to 12 noon. This year it will take place on Saturday, October 1. The Public Harvest Day is free to all who attend and no reservations are needed. 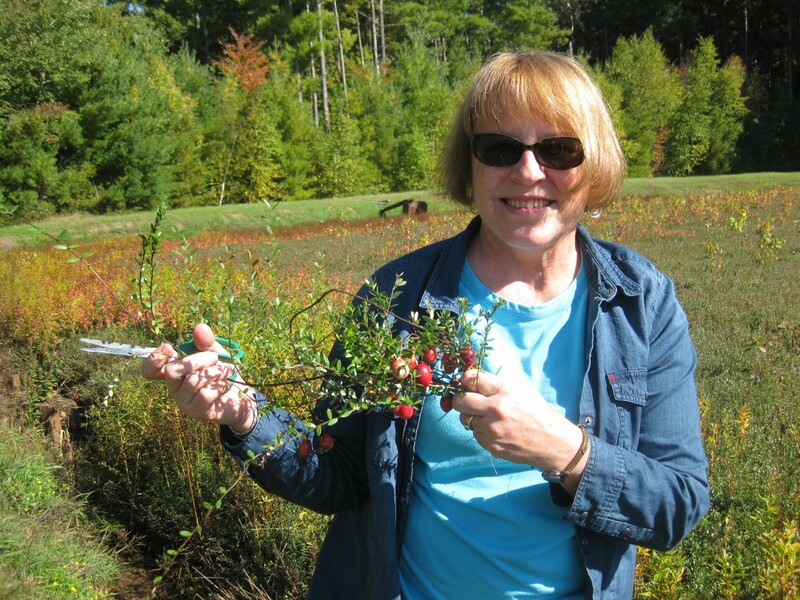 The Wetherby Cranberry Company is a family owned and operated cranberry marsh. Wetherby Cranberry Company has been in business for over 100 years and specializes in high quality fresh fruit. The marsh is operated by Jim and Nodji VanWychen together with son Henry and son-in-law Michael Gnewikow. The Van Wychen’s guarantee that visitors will be able to see cranberries being harvested whether there is rain, shine or snow (they have harvested in them all). They set aside several beds each year for this occasion and try to show several different stages of harvesting taking place. Visitors will be able to take pictures and videos of cranberries being harvested and have all your cranberry questions answered. Family members of the Wetherby Cranberry Company will be your personal guides to explain what you are seeing and answer all other questions you have. The packaging warehouse will be open and fresh cranberries will be available to be purchased. It a great way to see the harvest first hand. From young children through senior citizens, all will enjoy the sights of the “sea of red” being harvested. You also may be able to put on a pair of hip boots and step out into the sea of red cranberries for a picture of you “harvesting” cranberries. For more information and directions to the marsh or to order fresh cranberries if you are unable to make the Public Harvest day visit www.freshcranberries.com.